Dynamat Xtreme is so efficient you get remarkable results using upwards of 30% coverage centrally on a panel and is the highest efficiency energy conversion sound deadener available!!! Dynamat Xtreme is a thin, super sticky butyl rubber bonded to an aluminum alloy skin. It is formulated with our patented Vector™ Chemistry making Dynamat Xtreme the most effective sound control material available. 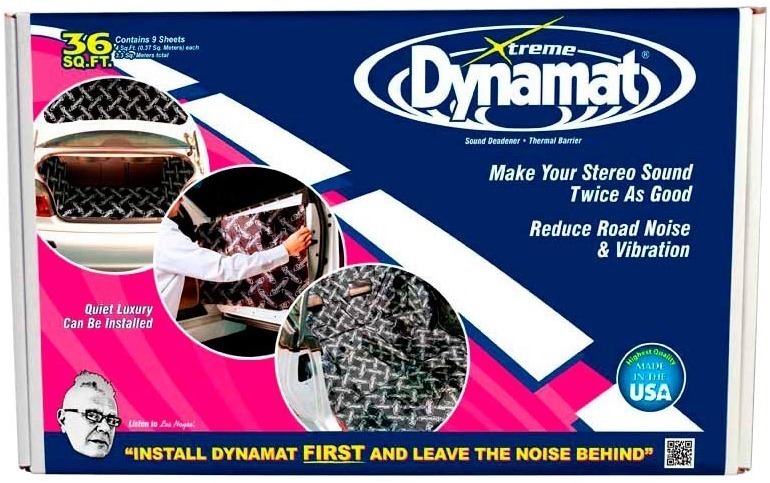 Dynamat Xtreme is very simple to cut and install with simple peel & stick. The butyl rubber and heavy aluminum will stretch and contour better than any other product on the market without tearing. It will conform easily to all surfaces, and the sticky butyl rubber will adhere to a surface and stay in place without any special surface prep, and without leaving any odor or dripping material. Xtreme is so efficient you get remarkable results using upwards of 30% coverage centrally on a panel.